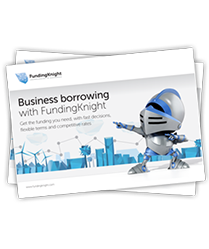 FundingKnight matches investors and established British businesses through an intelligent online platform. 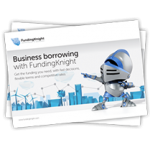 FundingKnight’s fair, flexible finance enables British businesses to access the funding they need. We can provide finance for almost any purpose – from property purchase to working capital to product development. Call us now to find out how we can help, or click below to make an enquiry – it only takes a few seconds. 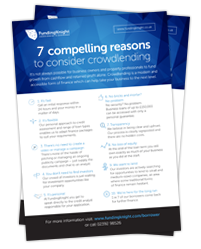 Earn an attractive rate of return by lending to hundreds of different businesses. Join our community of investors and start building your portfolio. 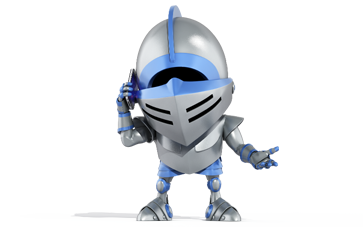 FundingKnight is a trading name of Sancus Funding Ltd and is part of Sancus BMS Group (www.sancus.com), The Sancus BMS Group is an alternative financial services provider specialising in the provision of short, medium and long term financial solutions including working capital finance, property finance, secured asset backed loans and secured cash flow funding. Thinking of investing? Here’s 7 reasons why you should. Invest directly in Business loans, Property and Green Energy projects. All loans given seal of approval by our expert credit team. Our friendly team are always on hand to help. Support the UK economy and earn interest on your investments.